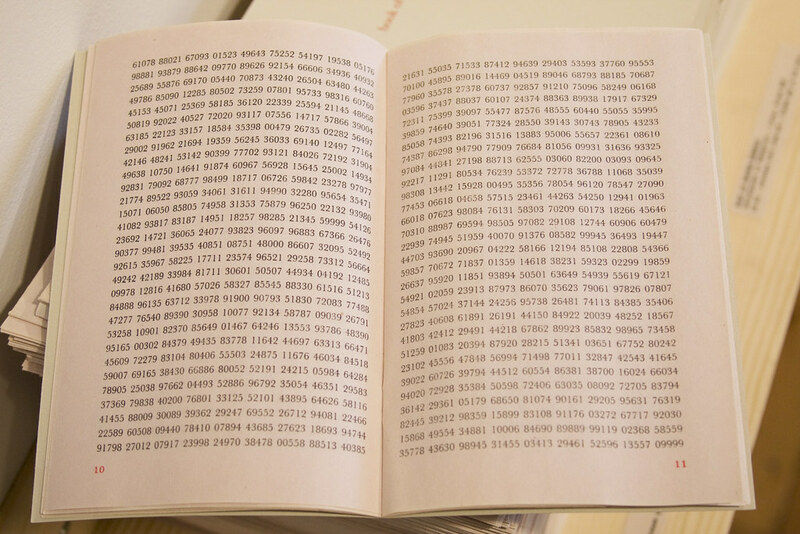 Since 1985 the Jerome Foundation has helped artists push the boundaries of contemporary book arts by supporting the creation of new book works. Through the MCBA/Jerome Book Arts Fellowships, Minnesota artists of diverse disciplines — including printers, papermakers, binders, painters, sculptors, poets, photographers, essayists and others — have created projects ranging from exquisitely crafted fine press volumes to documented performances to one-of-a-kind installations that “break the bindings” and redefine conventional notions of book form and content. 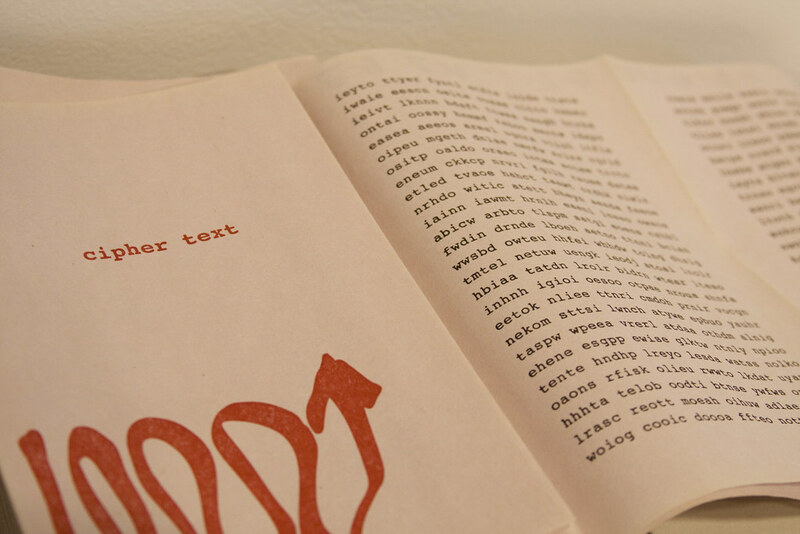 This exhibition marks the culmination of the ninth series of Book Arts Fellowships. 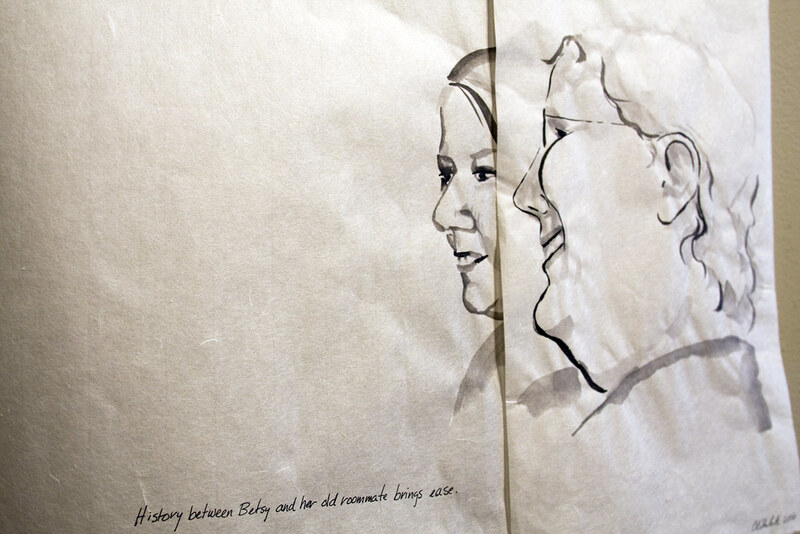 Witness the continuing evolution of contemporary book art in an exhibition of work by the 2007-2008 MCBA / Jerome Foundation Book Arts Fellowship recipients. The explorations of these five artists were on display at MCBA as part of a culminating exhibition opening Friday, October 3, 2008. 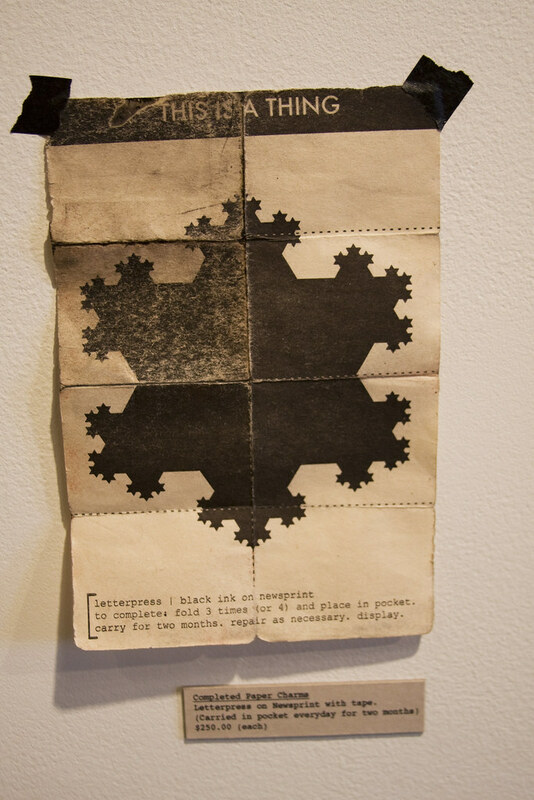 Sarah Peters’ work explores the Arctic as a space of many mythologies: political, historical, and cultural. 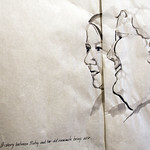 The book reads like a series of quandaries, a collection of research facts, and a sketchbook. 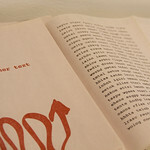 Made primarily from cast cotton fiber, the book includes letterpress printed text, drawings and embossed symbols. 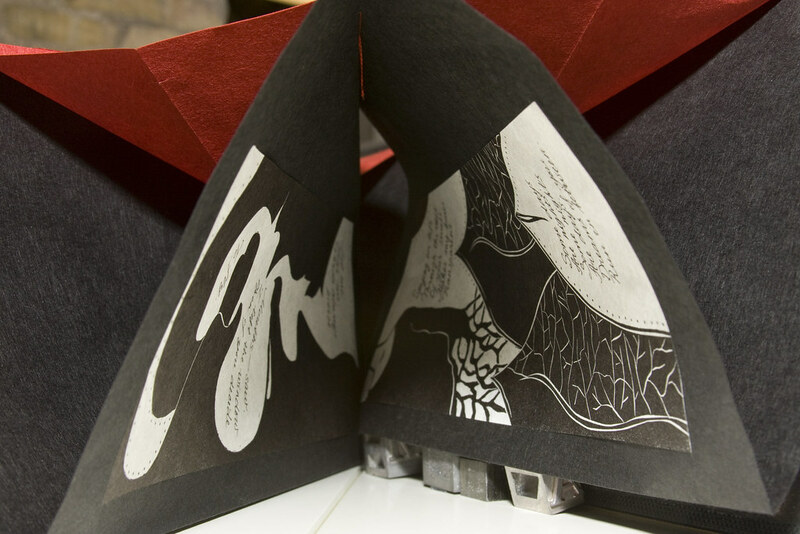 Individually cast pages are housed in five boxes; when unpacked, the non-traditional structure of the book creates a viewing experience that invites the reader to wander through unbound pages of image and text. Distance, memory, love and longing are some of the themes explored by Katya Reka. 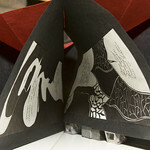 Her project consists of two books, each containing 12 poems and linoleum-block print illustrations in handmade cases, as well as a short video that continues the themes of memory, love, distance and time. 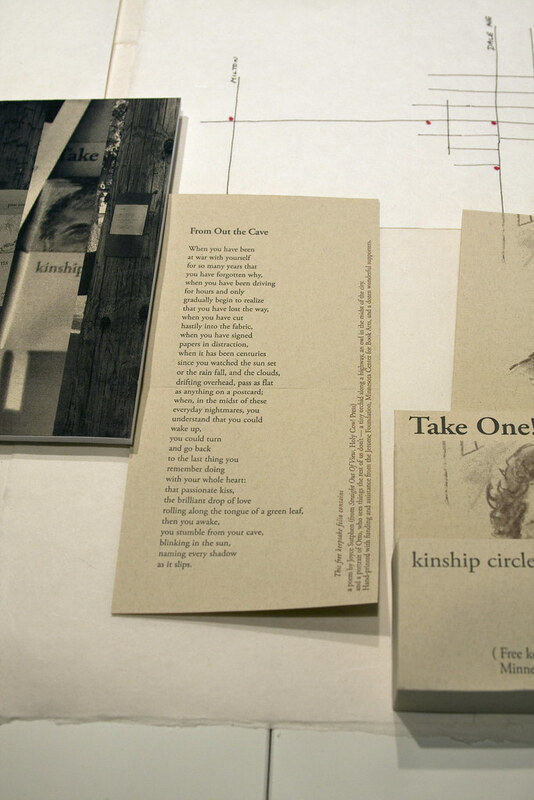 To bring poetry and art to new audiences, CB Sherlock and Regula Russelle’s “Kinship Circle” project is dispersing 5,000 letterpress-printed keepsakes in a handful of urban neighborhoods in the Twin Cities. 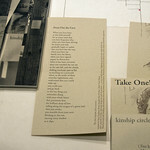 Ten different prints have been produced; though each of them is able to stand alone, together they form a “community book” of portraits and poetry addressing the theme of the kinship circle. 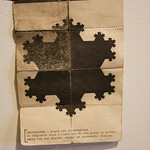 A companion installation in the gallery will explore the same theme.